Georgia residents looking to purchase energy efficient appliances can take advantage of an upcoming Georgia sales tax holiday. The holiday for WaterSense and ENERGY STAR labeled products begins Sept. 30th and ends Oct. 2nd, 2016, according to the Atlanta Regional Commission. Georgia sales tax holiday 2016 items list below. “Products bearing the WaterSense or ENERGY STAR label and a price of $1,500 or less per item, purchased for noncommercial home or personal use, will be exempt from state and local sales taxes,” ARC says. ARC says that replacing a shower heads and toilets with a WaterSense labeled shower head can save thousands of gallons of water each year. Source: Atlanta Regional Commission press release. The Metropolitan North Georgia Water Planning District is dedicated to developing comprehensive regional and watershed-specific water resources plans to be implemented by local governments in the 15-county metro Atlanta region, which includes Bartow, Cherokee, Clayton, Cobb, Coweta, DeKalb, Douglas, Fayette, Forsyth, Fulton, Gwinnett, Hall, Henry, Paulding and Rockdale counties. These plans conserve public water supplies, protect water quality and recreational values of the waters and minimize potential adverse impacts of development on waters in and downstream of the region. WaterSense, a partnership program sponsored by EPA, seeks to protect the future of our nation’s water supply by offering people a simple way to use less water with water-efficient products, new homes, and services. Since the program began in 2006, WaterSense has helped consumers save 1.1 trillion gallons of water and $21.7 billion in water and energy bills. For more information about WaterSense, visit epa.gov/watersense. 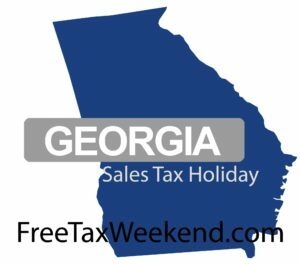 Georgia sales tax holiday 2016 for energy efficient and watersense items.